Get environmental feedback from your game! 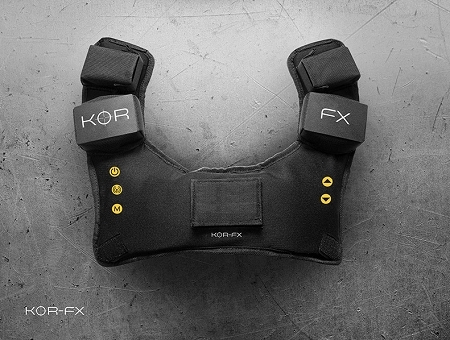 KOR-FX uses cutting-edge tech that lets you feel every movement, bullet, and explosion. Feel the action that's happening on the screen with pinpointed acousto-haptics. 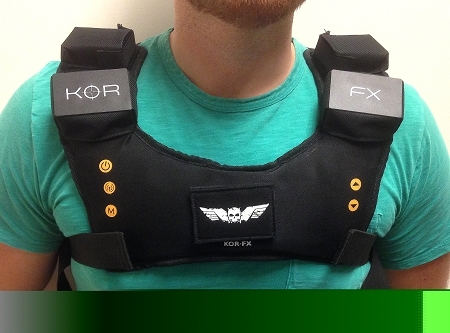 The KOR-FX experience doesn't stop with games' feel every explosion and bass line in movies, music, and other media! Tweak KOR-FX's settings to discover your perfect gaming experience. 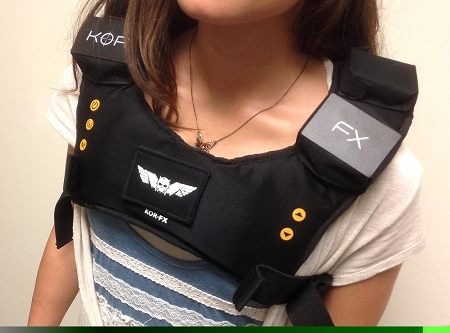 Adjustable (one size fits all). Works with any standard 3.5mm audio source. Customizable haptic filters and power settings. Works with PC and consoles, see setup section for details. 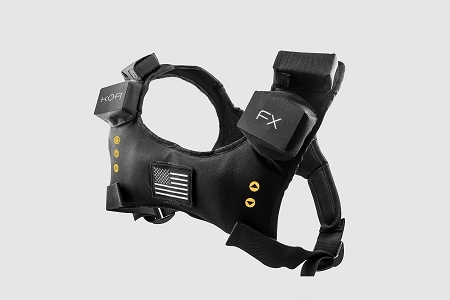 Vest requires 4AA rechargeable or standard batteries (not included) 30hr to 40hr estimated runtime. Wireless dongle can be USB or battery powered with 4AA rechargeable or standard batteries (not included). 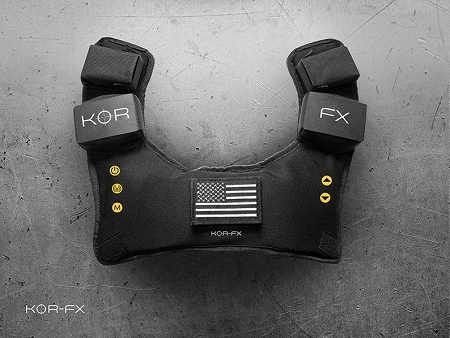 KOR-FX is protected by multiple issued and pending patents and patent applications, including US patent 8,139,803. Copyright KOR-FX. All Rights Reserved. eCommerce Software by 3dcart.